Śrī Rāma Naam is itself Param-Brahman! 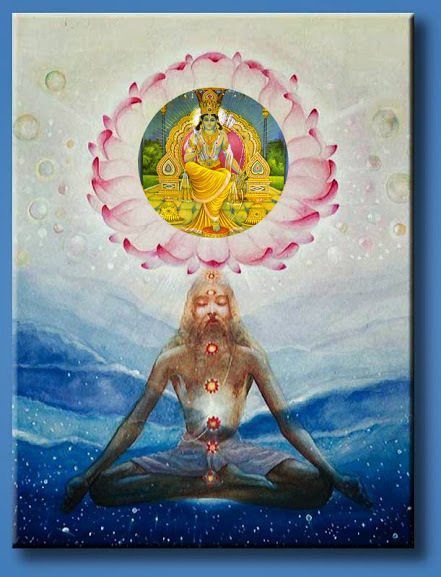 The name of Śrī Rāma is non-different from him, it is itself Parambrahman. Even 'Aum' (ॐ) is said to be originated from Shri ‘Rāma’ Naam by scriptures as Aum (ॐ) is consisted in Shri Rama (राम) Naam. Therefore, all human-beings should always sing [the name of] Bhagavan Shri Rama the prince charming of Ayodhya. The Param-mantra Śrī ‘Rāma’ Nāma is Parambrahman itself which is seed (Bij) of everything and everyone. The Param-mantra is very short, yet controls even Brahma, Vishnu, and Mahesha.Even Lord Narayana with Lakshmi, Lord Shiva with Parvati, Lord Brahma with Savitri, and all deities, Hanuman etc and divine sages like Sanatkumāra, etc meditate upon and chant ‘Rāma’ Naam only. Same is said in Padma-Purana, Sri Ram naam is the supreme among all names of Hari. click here to see. The supreme name among all names of Bhagavān ! The same thing is again reiterated after telling it supreme [varam] among all names of Bhagavan, that it is greater [adhikam] than all the mantras. All gods are originated from the name Rāma ! Just by hearing the ‘Ra’-kāra of the name ‘Rāma’, the heart of Lord Shiva becomes pleased and filled with love. All Avatari-Avatara Svarupas of Bhagavan are verily present within the ‘Ra’. Śrī Padma-Purāṇa says Śrī Rāma Naam is Parabrahm itself and the supreme among all the names of Bhagavān, all gods sings ‘Rāma Rāma’ like this ― these are said in almost all scriptures wherever there is glory of Śrī Rāma Naam. On the account of it being Parabrahm itself in form of divine eternal Vaak (word), all other divine names appear from it and get the supreme glory. Śrī Rāma Naam is the eternal name of Śrī Sākētabihārī Parātpar Parabrahma Paramātmā Sarvēśvara bhagavān Śrī Rāma. The ‘Ra र’ in Rama nama is the original cause, the Parātpar Parmātm Chid-tattva from which all other Bhagavad-Svarupas are manifested. Śrī Rāma Naam is equal to billion times repition of all Mantras! Padma Purana also says uttering ‘Rāma’ once is equal to thousand times repetition of any other name of Bhagavan (thousand names is also taken as Vishnu-Sahasranam)! In Vishnu-Sahasranaam, there are names such as Rama, Vishnu, Narayana, Krishna etc. So how can one Ram Naam be equal to one Rāma Nāma + 999 other names of Bhagavān (including Hari + Vishṇu + Nārāyaṇa + Krishṇa etc)? There are two ways to explain this - (A) Sri Rama Naam not only denotes the Parambrahman, but it is also Parambrahman Itself. Scriptures say ‘Rāma’ Nāma is the supreme seed from whole everything has emerged. Being Parambrahman itself and the supreme seed of everything, It is all encompassing entity, therefore all Vedas and innumerable Bhagavannamas, Mantras etc are present inside all encompassing Rama Nama. Therefore, One Rama becomes equal to Vishnu-sahasranama (1 Rama Naam + 999 other names which are also present within Rama Naam). (B) Sri Ram Naam is told to be illuminator of all names of Lord Shri Hari, It is the great moon and other names are like stars, both moon and stars simultaneously adorn the sky and make it look beautiful, however the light coming from moon is more than enough in comarison to the lights coming together from so many stars, theexistence of other names adorns Bhagavan that he has infinite beautiful names. This statement of Lord Shiva from Padma-PurAna that just uttering Śrī Rāma naam once bestows billions of times fruits that can be achieved by chanting all other mantras (be it any mantra devoted to Lord Vishnu, Lord Ganesha, Goddess Durga etc - Ramtapini Upanishad) and all the Vedas at a time proves Shri Rama Naam is the most superior. Thus, One Rama Naam is equal to billion times any Mantra devoted to any other god or deity. 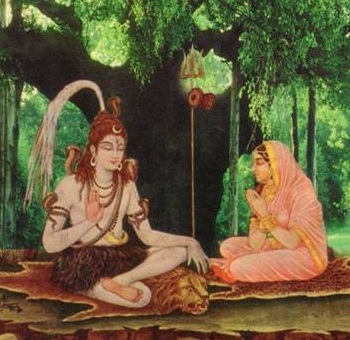 In Padma-Purana, Lord Shiva tells Parvati He has eternal love for the name ‘Rāma’. This shows Lord Shiva who is Mahadeva and Jagadguru has the utmost love and preference for the name ‘Rāma’ over all mantras and other Bhagavannama-s.
Is any other name of lord camparable to Śrī Rāma Naam? There are infinite names of Bhagavan, but none is comparable to Sri Rama Naam. Hārit-smriti is a very renowned Vaishnava-smriti, in which the glories of the Mantras of Bhagavan Shri Vishnu, Shri Rama and Shri Krishna are given. There, it upholds the true glory of ‘Raam’ Naam. Thus, ‘Raam’ Naam is the most superior naam and mantra in itself. Among all names of Bhagavan, Raam Naam is same as ‘Aum’ as per Panini Vyakarana. So O, Heart, why don't you chant Param-Mantra 'Raam Raam Raam...' like this? Raam Naam is Param-Mantra (Mantra-Raj)! “‘Rāma’, this two syllable Mantra, upon chanting even while walking, standing or sleeping, destroys all sins of Human beings in this world. The human being who chants ‘Rāma’ Naam becomes the most fortunate one and after getting all pleasures in this world at the end gets the supreme abode of Lord Hari (Shri Rāma). ‘Rāma’, this two syllable Mantra is even more powerful than the combine power of 100 crores of Mantra (1 billion is in the sense of infinite mantras). In fact, There is nothing (no other Mantra or any other means) in this whole world (or whole vedic-scriptures) which is more suitable or worthy than chanting the ‘Rāma’ Naam. (na rāmādadhikaṃ kiñcit paṭhanaṃ jagatītalē) Whoever has taken the refuge of ‘Rāma’ Nama, never gets sufferings of Yamaloka. The one who dwells within all animate and inanimate existence as the soul of all souls (as the supreme indwelling reality), is called ‘Rāma’. ‘Rāma’ Naam is the Mantra-Raj (the supreme Mantra, the chief [King] of all Mantra-s) which destroys the three fold agony of this world. 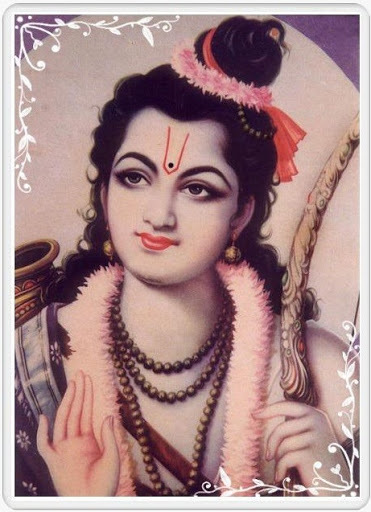 "Rama, Rama, Rama", like this way if uttered, this two syllable Mantra makes everything successful on this earth. “With full reverence and great love, all the time, I (Krsna) remember Śrī ‘Rāma’ Naam. Śrī ‘Rāma’ Naam is Jagadguru (Guru of all worlds). Not for a single moment, I miss the rememebrance of Śrī Rām Naam. O Arjuna, My words are verily true, true and true alone . This shows the name 'Rama' is verily the breath of Bhagavan Shri Krishna. Lord Shiva is very gracious and concerned for his adherents, whenever a Jiva is about to die (leave the body) in the Kashi (Varanasi), He manifests himself there and utter the supreme mantra - the name ‘Rāma’ in the ear of Jiva. Lord Shiva doesn't pay any attention to any other means or Mantra for the liberation. Lord Shiva is Jagadguru (supreme spiritual preceptor for one and all) and the bestest Vaishnava-devotee, He truly knows what is the best in Vedas and Puranas. Various Mantras do exist in scripture, Yet Tārak-Brahman (the mantra which liberates for sure) is the name ‘Rāma’, so when it comes for doing the ultimate good to the soul, and at the most crucial time - when an ātmā is about to leave the body, that time Lord Shiva utters the Param-mantra ‘Rāma’ nāma in the ears, to make it completely sure even the most fallen Jiva should be liberated. One should always sing, while walking, waking and sleep, the supreme mantra ‘Rāma’ with all love, the mantra which is chanted by Bhagavan Shankara himself along with his dearest consort Bhagavati Pārvati. हेतु कृसानु भानु हिमकर को hētu kṛsānu bhānu himakara kō — हेतु hētu - cause of, कृसानु kṛsānu - fire, भानु bhānu - sun, हिमकर himakara - moon, को kō - of. It is primeval cause of fire, sun and moon. हेतु hētu in sanskrit dictionary means primeval cause/origin. It means from Ra (र), fire originates (in kṛsānu, Ra sound is present subtly in vowel ṛi); from ā (आ), sun originates (in bhānu, ā is present); and from ma (म), moon originates (in himakara, ma is present). Thus, Rāma naam is cause of fire, sun and moon. Vedas find it very difficult to tell about the Supreme Absolute Truth, therefore they take indirect approach for giving an understanding. There are three renowned lights, those are the light of fire, the light of sun and the light of moon. And the name ‘Rāma’ is the hetu (cause) of all these lights, means that Absolute one who is light of all lights, who is self-illumined supreme fountain of all divine lights (all divinities) is denoted by the name ‘Rāma’. Therefore, Valmiki Ramayana which is Veda-avatar says - Śrī Rāma is the sun of the sun, the fire of the fire; the underlying meaning is Śrī Rāma is the Supreme Absolute who is the real cause of all divine lights [all divinities], and he is the self-illumined one, none is before him. छान्दोग्य उपनिषद् ६.४.१ Chāndōgya upaniṣad Shruti 6.4.1 says "the red light of fire [of sun (for sun in Chāndōgya 6.4.2), and of moon (for moon in Chāndōgya 6.4.3)] represents Tejas (splendor), white light of fire represents the water, and the dark light of the fire (or sun or moon) represents earth; thus Vanishes the quality of fire from fire, the quality of sun from sun, and the quality of moon from moon, and the only the inner swarupa remains true. The word fire, or sun or moon are only for behavioral plane for understanding of specific Name and Rupa to say meditate upon Purusha (Rāma) within fire, sun and moon." This way Shruti defines the Supreme Absolute one. Within the name Rama, Brahma-Vishnu-Shiva are present. It is the life and breath of Vedas, whole Vedas have come out from the seed name Rama. While other mantras or Naam-s get powers from their deities, the name of Rama is self-illumined, it is the one which illuminates all others. Such is the sense here. It is Para-brahman itself, the illuminator of all. How and why to chant Rama Naam? : The divine eternal Vaak (word) is the name 'Rama' from which whole everything appears, It is Itself Param-Brahman - राम नाम परमब्रह्म सर्वदेवाधिकम् महत् (-पद्म पुराण)- Rama Naam is Itself Parambrahman, and greater than all gods combined. (Padma-Purana) Long Mantras like "Śrī Rāma Jaya Rāma Jaya Jaya Rāma" or "Hare Rama Hare Krishna" get the power from their seed ‘Rāma’ Naam which is seed of all Mantras as well. Therefore, the best and supreme among all powerful Mantras is ‘Rāma’ Naam. Long Mantra-s have especial purposes, and they are suitable for nāma-saṅkīrtana in groups, one should definitely sing and remember Lord with his various divine names; however, for the proper spiritual progress, it is always better to do Japa (chanting) of "Rama" Naam alone or "SitaRama". Is there any need of adding something in Japa of ‘Rāma’ naam? It is said by Lord Shiva - न रामादधिकं किञ्चित् पठनं जगतीतले । - means "there is nothing greater than chanting (Japa) of ‘Rāma’ Naam in this world in all the Vedas and other Vedic scriptures.” It is told again and again in scriptures to chant (jap) ‘Rāma Rāma Rāma....’ like this. Therefore, there is no need add something in Rama Naam, when Śrī Rama himself is the final goal. ‘Rāma’ Naam can be chanted in the unison of breath. When it is chanted, the soul is easily connected with the Supreme transcendental vibration (of Rama Naam) and one experiences its presence in every particle of the universe. One may constantly repeat the seed mantra with unison of breath. Then, a time will come when the remembrance of ‘Rāma’ becomes effortless in every breath. This is Sahaj-Sadhana (effortless practice) practices by some Yogis, and thus at the end while leaving this body there would be spontaneous remembrance of ‘Rāma Naam’ and ‘Rāma Roopa’. Shruti says It is better to leave many words and chant and meditate upon Lord with the seed-mantra, with one transcendental-vibration. ‘Aum’ and ‘Rāma’ nama are completely same; However, everyone is not eligible to chant ‘Aum’, the utterance of ‘Aum’ has a lot of rules and restrictions, such rules and regulations are not there with ‘Rāma’ nama which is the cause of even ‘Aum’. Bhagavan Shiva preaches the name ‘Rāma’ to his dearest consort Parvati and others, therefore one should chant Param-mantra 'Rama’, and meditate with the help of 'Rama’. This way one would not have to think of many words, and can dissolve mind easily into the name 'Rama', the name 'Rama’ from which whole everything is woven, You can feel it in breath. How is unison possible with Rama Naam? While inhaling the breath say (feel) "Ra" and while exhaling the breath say "Ma", this is automatic process and need not to be followed by making some extra effort. If one will continuously chant "Rama" Naam, then after sometime it will be automatically aligned in one's breathing process. Any time and any place, whether pure or impure, everyone can do Sankirtan of ‘Rama Rama’ like this and attains the liberation. 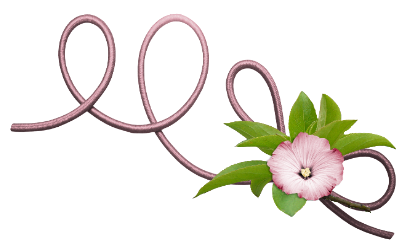 Website is developed and maintained by SiyaRaghavendra Sharan. All Rights Reserved.